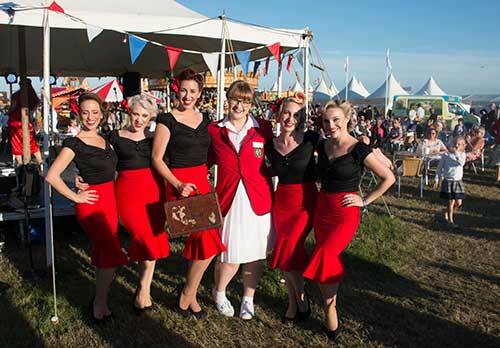 2016 marked the fifth year of Butlin’s attendance at Goodwood Revival; a three day long festival held at Goodwood motor circuit. The Revival celebrates all-things-vintage, in particular road racing cars and motorcycles that would’ve competed during the tracks original period of use. As guests stepped back in time, dressed in befitting vintage outfits, we too rolled back the years in a very unique way… Cue the (roller) disco ball! 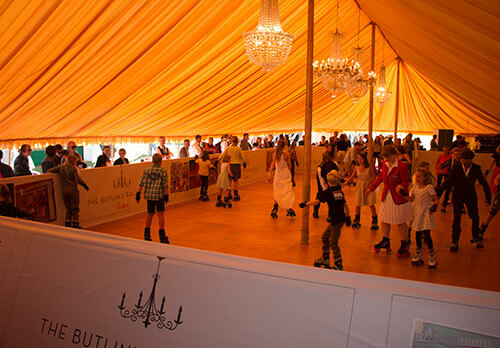 The Butlin’s roller disco has been a main attraction at Goodwood Revival for the past 3 years and this year was no exception. The only difference was the transformation of the roller rink into our very own ‘Butlin’s Ballroom’; something which would have been found across our resorts back in the 50s. So we put our skates on and give our heritage a twist! The event was a great success. 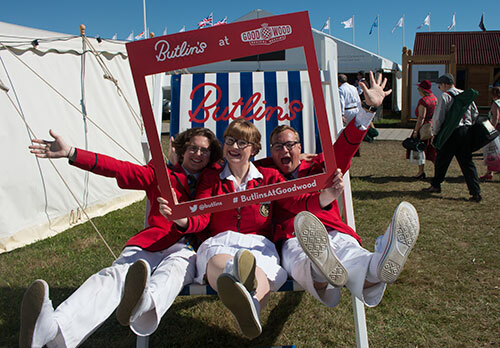 Friday and Sunday saw glorious sunshine shining down on Goodwood and although Saturday was a little damp, in true Butlin’s style we really didn’t let rain stop play. Our Redcoats took every opportunity they had to get up on stage and dance the day away while guests skated round the rink throughout the day and long into the night. Children (and I’m sure we saw some of the adults too!) enjoyed playing ‘limbo’, ‘follow the leader’ and ‘stuck in the mud’ while dancing to a selection of 1950s tunes! We even had a jazz band perform for us during the day on Saturday. 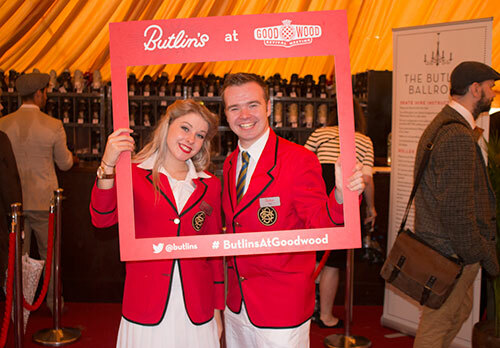 During the weekend, Butlin’s hosted a social media competition which asked Goodwood guests to share photos with us using the hashtag #ButlinsAtGoodwood. A huge congratulations went to Neil and his family for winning the competition. 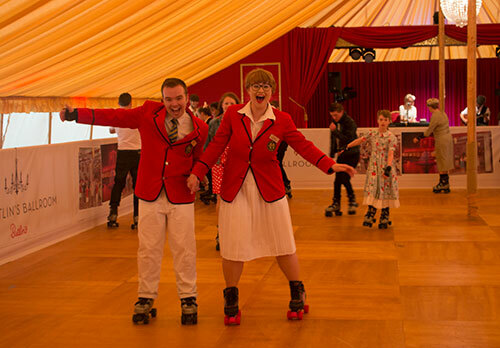 We loved the vintage dress up and thought your skating was pretty impressive too! From the team here at Bognor Regis, it was an absolute pleasure to be part of Goodwood Revival and we’ll be sure to return next year, bringing our vintage sparkle to the prestigious motor circuit.